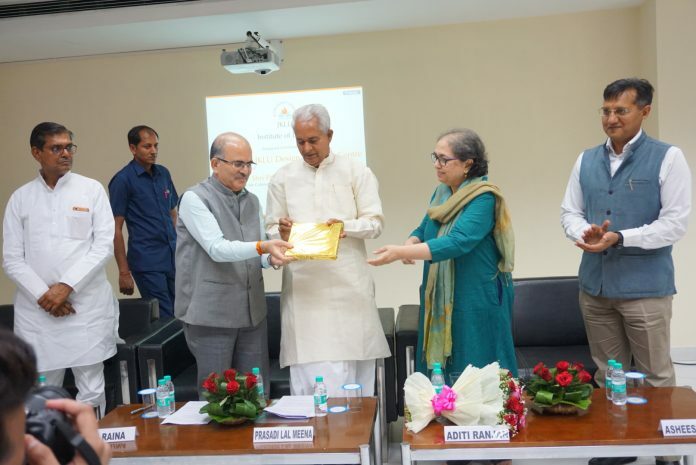 Jaipur: A new state-of-the-art design centre has been inaugurated at JK Lakshmipat University (JKLU) in Jaipur on March 25. The new centre, MP Ranjan-JKLU Design Resource Centre, is a part of institute of design. Hon’ble Minister of Industry and State Enterprise, Shri Prasadi Lal Meena inaugurated the new design centre. The vote of thanks was proposed by Prof Asheesh Gupta, Pro VC,JK Lakshmipat University, Jaipur.